In the midst of rapidly growing global competition in the realm of personal mobility and the easiest mode of commute, we recognize as one of the few e-scooter app development companies around the world on whom you can rely on and have already developed complete app-based solution for e-scooter with diverse features and functionalities, including live dashboard, navigation, and GPS tracking. Well, This post embraces information for e-scooter startup companies, who want to develop an e-scooter sharing app. Read on these top three strategies of an e-scooter startup, Skip, which you can consider during on-demand electric scooter app development. It seems like the streets of San Francisco are getting overrun with venture-backed e-scooters. The last-mile transportation options like electric scooters and bikes have become favourite for people because e-scooters are smooth, sturdy, and easy control along with good grips. When it comes to the inexpensive last-mile transportation services, e-scooters must be the first choice of people. Also, e-scooters are not at all cumbersome when it comes to parking. Apart from e-scooter goliaths like Spin, Bird, and Lime that is leading bike sharing app, there is another e-scooter sharing startup – Skip, which is launched by the creators of Boosted Boards (the popular skateboards with remote electric motors). 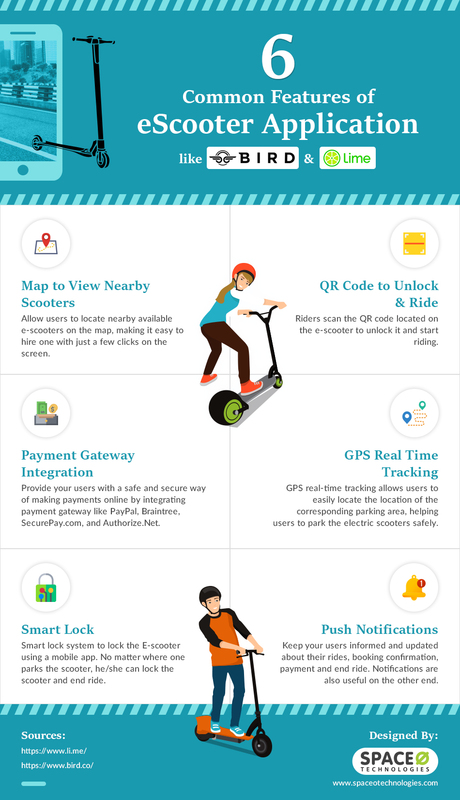 Let’s move ahead to know more about the e-scooter sharing app, Skip. Based in San Francisco, Skip is one of the popular dockless electric scooter companies, launched by Boosted Boards. The Co-founder/CEO of Skip is Sanjay Dastoor (former Boosted co-founder) and Mike Wadhera. According to the latest report from TechCrunch, “The dockless e-scooter startup, Skip has raised $6 million in Seed funding, led by Initialized Capital via Alexis Ohanian (Reddit co-founder) and Ronny Conway’s A Capital, with SV Angel”. Furthermore, as per the report, “Skip is formerly known by its Y Combinator codename i.e. Waybots. 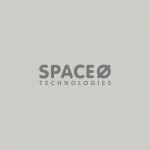 However, the company is exclusively announcing its funding and rebrand to Skip.” Currently, the e-scooter sharing service by Skip is available in Washington DC only. But, it will soon be available in San Francisco. 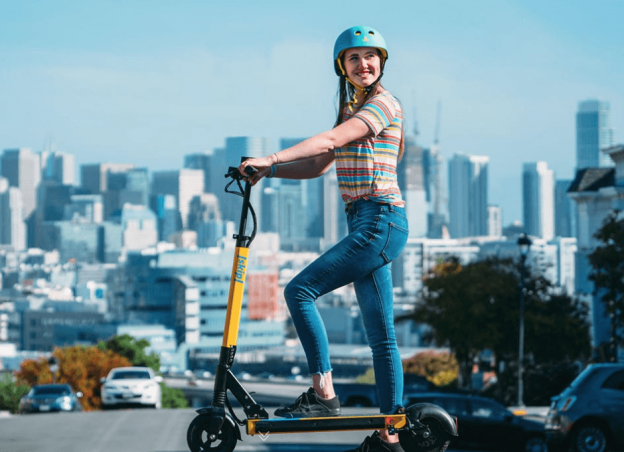 Furthermore, according to the latest report from TechCrunch, “Skip is one of the e-scooter companies, which is awarded permit in San Francisco.” This e-scooter company, Skip, has also unveiled scooters with cameras and locks. In recent time, dockless electric scooters have taken over the West Coast of The United States. So, one of the top strategies behind the new e-scooter startup – Skip is that the quality of vehicles does matter a lot, regardless of the distance of the trip. If we’re talking about the ride-sharing services, then they may not concern about the quality of vehicles as some companies might be using the same car. However, Skip startup has emphasized on the – “quality of vehicles”. The vehicles should be designed for a different level of use and upkeep. So, being a startup, you need to take extra attention to the quality of vehicles, and they must be durable for the long run. Also, they would not create hassles to riders while using them. 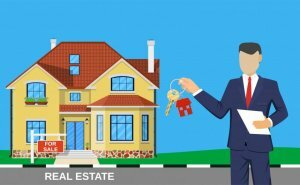 Thus, you need to plan to build your own customized e-scooter mobile app solutions for your users. Bottom Line: Being a startup, you need to provide smooth, sturdy, and safe ride with the easy controls. And, if you are planning to create a ride-sharing app like Bird or Skip, then it is important to provide an essential feature like precise location tracking. By providing such a feature, it could help them to drive and park their vehicles in a safe manner. E-scooter revolution has already occurred for the last few years. Unlike bikes, the e-scooters are light enough to carry short distances and they are compact too. The e-scooters are the high-quality, collaborative, and sustainable solution to the urban congestion crisis as many big cities have already affected by this. Electric scooter does not only provide the last-mile solution to users but also delivers the best-in-class mobile application, as well as good hardware experience. As long as transit solution is concerned, e-scooters make short commutes easy. Also, the dockless e-scooters have proved to be a useful car-replacement solution. The emergence of electric scooters and electric bikes creates sudden awareness about the alternate modes of the mobility solution. The last-mile solutions are not meant to merely commute, but it also eliminates mobility challenges due to the increased number of vehicles. So, if you are planning to develop Android app like Skip, then you need to provide the last-mile solution, which could be useful for a wider range of commuters and it can also reduce congestion. It is important to provide optimal solutions to the app users and eliminate the most annoying scooter behaviors that have analyzed by the e-scooter app company, Skip. The company has also worked on the riders’ issues of dead batteries during the rides. With the dead batteries, e-scooters are nothing more than the useless vehicles for users. In this way, the startup company has analyzed deeply the riders’ issues regarding e-scooters. After that, Skip has come up with the crowdsourced charging program where people can get paid to pick up, plug-in at home, and drop off scooters in order to keep vehicles charge all day. Also, users can be able to adjust the handlebar height, as they can go up to 18 mph and dual suspension flattens the road bumps. So, it is important to provide a durable vehicle to users. There is a number of e-scooter startups have been sprouting for the last few years, however, it is important to build a successful business model like Uber, Bird, and Skip. Also, you need to analyze deeply what problems the riders of particular locations could face. And, you should start with a specific or small area first to test your business model. At long last, being an e-scooter startup, it is pivotal to do the market analysis well and know the problems of users. In this way, you can make your business more attractive to your app users. That being said, if the user feels safe, then they will choose your app over the competition. Want to develop your own E-Scooter app? E-Scooters are Invading. Are You Ready to Lead the Charge? Indeed, e-scooters are an enticing option in the world of shared mobility as they are compact, two-wheeled and easy to use. By providing effective urban mobility solutions to solved numerous concerns, e-scooters have become more attractive to users. 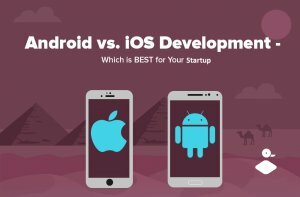 So, if you have made up your mind to develop an app under the category of ride-sharing or e-scooter app development, then you can cross-verify your app idea with us as we are a leading mobile app development company, and have already developed more than 50 ride-sharing apps like Uber. In case, if you still have any query or confusion related to app development cost breakdown related to e-scooter, you can get in touch with us through contact us form. Our sales representative will revert to you within 48 hours with an optimal solution. The consultation is absolutely free of cost. This page was last edited on March 13th, 2019, at 4:15.